By now, refuting the danger of cigarette smoke is to ignore scientific fact. The mere presence of danger is no longer what’s contested — now, what scientists are trying to determine is the magnitude of that danger. New research reveals that deaths among smokers can be directly linked to smoking 67 percent of the time. Previous estimates pegged the risk for smoking-related death at around 50 percent, according to international estimates from the Australian National University (ANU). A recent study performed over the course of four years by the Sax Institute, in conjunction with ANU, followed 200,000 Australians to determine smoking’s direct effect on mortality. The consequences, they found, were markedly higher than once suggested. "We found that [over the four years] people who are current smokers were three times more likely to die than people who had never smoked,” ANU professor and the study's lead author Emily Banks told ABC, “and their life expectancy within that four-year period was diminished by 10 years compared to the never-smokers." The study was conducted with help from the National Heart Foundation in collaboration with Cancer Council New South Wales, and shows that smoking causes more damage depending on the number of cigarettes a person smokes a day. A person who smokes only 10 cigarettes a day, for instance, faces twice the risk for death than a non-smoker. It’s a similar risk, in fact, compared to someone who is morbidly obese. "Most light smokers wouldn't think of themselves as having a risk that is similar to someone who is morbidly obese,” Banks said. Overall, smoking accounts for one in five deaths in the United States, or roughly 440,000 deaths annually. That’s more deaths caused by tobacco than HIV (human immunodeficiency virus), illegal drug use, alcohol use, car accidents, suicides, and murders combined. According to the Centers for Disease Control and Prevention, smoking is the single leading cause of preventable death in the United States, and second around the world, behind only hypertension. 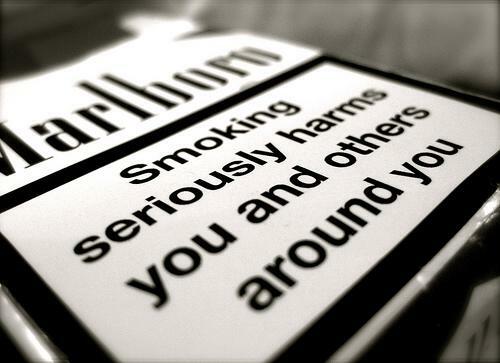 "We all know that smoking is bad for your health. But until now we haven't had direct large-scale evidence from Australia about just how bad it is," Banks, who also worked as scientific director of the study, told the Guardian. "We've been relying on evidence from other countries." The study was particularly eye-opening for Australian researchers because it marks the first data set purely on fellow citizens.As in the U.S., smoking is the leading cause of preventable death in Australia, killing roughly 15,000 each year.